Cut Out House Numbers - 1/8" solid brass numbers - available in 3 sizes and 6 finishes. Our cut out house numbers add that stylish finishing touch to the entry decor of your home or business. Solid Brass and American Made. 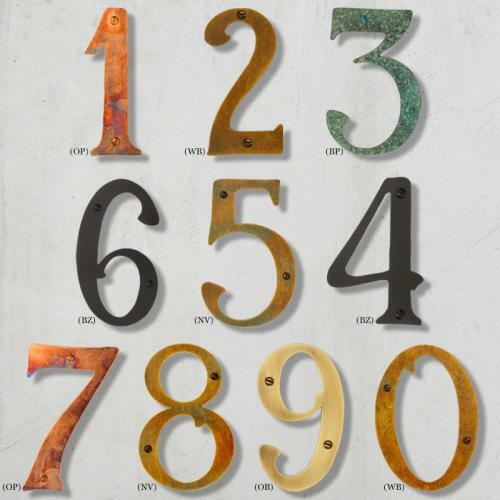 The Cut Out House Numbers are available in six finishes: New Verde, Old Penny, Architectural Bronze, Warm Brass, Old Brass, and Textured Black.